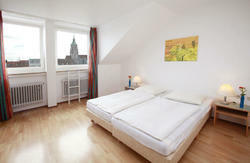 Welcome to Smart Stay Hostel Munich City, formerly Easy Palace! Weâ€™ve has a new name and appearance since March 2012. It's all about the new name - Smart Stay. Not only have all our buildings been renovated, modernised and revamped in the course of renaming, they also offer travellers a unique feeling of homeliness without impacting on the budget. Feel a unique accommodation experience with a homely 'nest' feeling at an absolutely fair price. 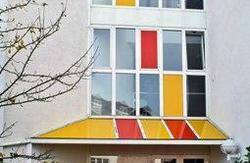 Weâ€™re the newest hostel in Munich and the place to make the most of your visit to Munich. Stay at the only backpacker hostel thatâ€™s just two minutesâ€™ walk from the Oktoberfest and near two subway stations taking you downtown to the Marienplatz! Explore Munich's heart, walk to all the city's major sites and find cafÃ©s, markets and nightlife just in our neighbourhood. Stroll up downtown, explore the English Garden and taste a beer at the Hofbrauhaus Brewery. Talk a trip to visit Schloss Nymphenburg or visit the German Museum located at the Isar River. Our staff will help finding your way around in Munich. We offer beautifully designed and exceptionally clean dormitories. We have two-, three-, six- and eight-bed dorms suitable for backpackers, families, groups or individuals visiting on business. Looking forward welcoming you to Munich! These are: - 100% of the balance will be charged from your credit card immediately after the online booking. In case the credit card is not working we will cancel the booking. Free cancellations are not possible, in case of customer cancellations (respectively no-shows) on short notice, the sum of the stay has to be paid; saved expenditures as well as proceeds from rooms that are rented to a third party will not be taken into account! Exit Munich's Central Station (Hauptbahnhof) on the south-side into Goethestrasse. Follow Goethe some 1000m down to McDonalds and there turn right into Mozartstrasse. The yellow building behind the cinema is our hostel.